Happy Birthday, Beverley, from Donny, Robert and Students! Special thanks to Lynn & Mel Radake for the beautiful Birthday Cake & Flowers and Debbie for the Cupcakes from Molly Cake! #shallwedance? 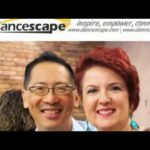 Explore, Dream, Discover – #shallwedance @danceScape?